As you’re wrapping up the year, you’re probably looking at next year’s budget and analyzing your organization’s technology stack. The 2018 Marketing Technology Landscape Supergraphic revealed nearly 7,000 technology solutions, with response management platforms like RFPIO being one of them. Next year the technology landscape will surely be even bigger. And organizations have to ask themselves: Do we want to continue to invest in this or that software? Before you decide whether this or that software is on the budget chopping block, first you need to look inward at your internal user adoption efforts. See if you did everything humanly possible to maximize the features and benefits you and your team had all this time. Every day we come across teams that aren’t using our own RFP software to its fullest extent. Along the way, we have found several software user adoption tips and processes to help organizations find renewed success with the technology they’ve had all along. Need some ideas for improving user adoption? This is how you develop a user adoption strategy that protects your technology investment and renews success at your organization. Organizations are investing in thousands of software solutions, but often they don’t take a step back to develop a user adoption strategy. The goal of a user adoption strategy is to maximize the ROI of the technology you invested in so your team can achieve greater success. Some team members will naturally resist change. List the elements of your process that will stay the same to get people more comfortable. You gave your team some familiarity to hang onto during the first step. Now it’s time to gently introduce the unfamiliar. List out process changes that will occur once the software application is in use. Ownership is incredibly important for the success of any software solution. Decide who will own different pieces of the process (i.e. content management strategy, project management, etc.). After you identify owners, spell out their level of authority to make decisions. This helps everyone be clear about who is handling various stages of the process. Even though software solutions are cloud-based, data audits and clean-up are always necessary. With RFPIO’s answer library, we recommend that teams decide on a specific content audit cadence. RFP responses inevitably build up—this is the time to de-duplicate and update content. Without a consistent content audit, the answer library loses some of its ability to make teams faster at responding to RFPs, RFIs, security questionnaires, etc. 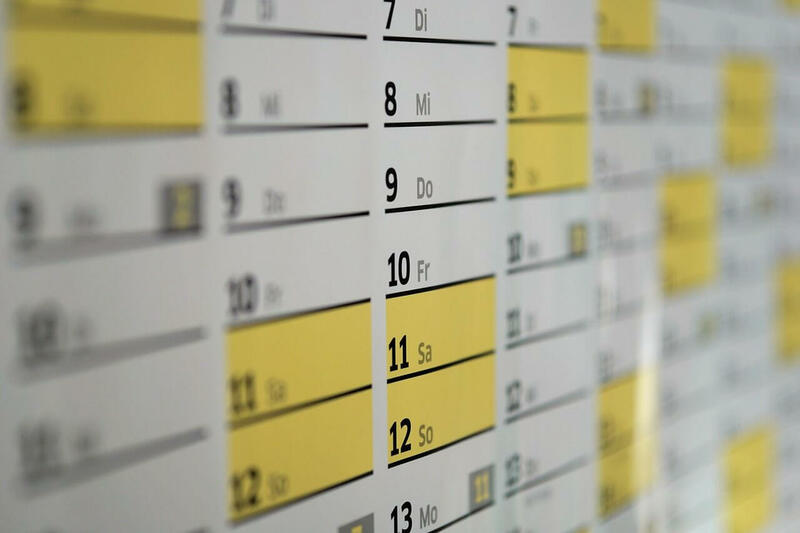 Decide on a cadence, whether that is weekly, monthly, or quarterly. Audits will keep your solution running at optimal levels, keeping your users happy as a result. You would think this one could be rolled into #3 above about identifying the owners. The reason we’re calling this out? Because organizations typically don’t assign specific team members to own data, content, or project audits. To make sure audits happen, make sure someone owns this part of the process too. Your software will have different user roles within the application that limit or grant access to various features and actions. Decide user roles based on their role in the process. Adjust accordingly if the user needs less or more to do their jobs effectively within the solution. “All at once” isn’t a rollout plan. Instead, create a timeline and roll out the solution over time. Decide on a trial period, when it begins and when it ends. Also, have a drop-dead date when you want to be using the solution for all projects. Even the best stage actor has a back-up in case something happens. So should you. Figure out who will step in and take someone’s place if someone transitions out of a role or the organization entirely. Make sure the back-up is trained properly ahead of time so they can jump in when they are needed. Within the platform, there are numerous ways to improve the user experience for your team. Customizing your instance with your logo and brand colors bring a sense of familiarity. Managing integrations is also important. Make sure all technology is talking to each other to promote a seamless experience for your team. Training is never a one-and-done situation with long-term user adoption success. Know how often you will host a refresher training for existing or new colleagues (monthly, quarterly, bi-annually, etc). Also, schedule time to make sure each person knows how to execute with different features, based on their role. In RFPIO, we might want to make sure someone knows how to search the answer library, how to edit a Q&A pair, and how to mark content as reviewed. Check in with your team regularly to find out how they’re using the solution, then share some of those best practices. Where software gets complex is the bells and whistles. Some team members will discover tips and tricks that others don’t. Share those stories to help everyone be more effective together. Even with the best software, and with your best intention to improve user adoption, you might find people digress to old ways of doing things. Then, you end up with information silos—not to mention a lack of collaboration. If you find team members storing content in other solutions or folders, encourage them to centralize that data back into the solution the organization is using. These team members likely need additional training to feel more comfortable with the process, but they also might not ask for help. Be proactive by offering to have one-on-one training with them. How do you know if your user adoption efforts are paying off? By establishing goals upfront that allow you to measure success. Perhaps you want to see X number or X percentage of projects or team members active within the solution. Figure out that metric and track your progress so you can adjust user adoption efforts as needed through the year until you reach that goal. User adoption success depends on defining and implementing a strategy that ultimately helps people succeed in their roles. By developing a user adoption strategy, you’re taking the right steps to invest in your team for the software investment you already made. 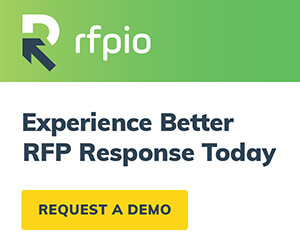 As the Customer Success Manager of RFPIO, Andrew Stone manages client relationships to ensure each team reaches success from the moment they onboard with RFPIO. Previously Andrew worked with several marketing agencies to provide marketing strategy focused on elevating brand value, from non-profits to Fortune 500 Companies. Connect with Andrew on LinkedIn.